British financial giant HSBC has agreed to pay more than $100 million to US authorities after admitting to defrauding clients during multi-billion-dollar foreign exchange transactions, the Justice Department announced Thursday. The settlement follows an indictment handed down Wednesday against a former Barclays trader similarly accused of defrauding the former California computing giant Hewlett-Packard by manipulating foreign exchange markets. Under the terms of the agreement, which is under review by a federal judge in Brooklyn, HSBC will pay a $63.1 million fine and an additional $38.4 million in restitution and disgorgement—or the return of ill-gotten gains, the Justice Department said. "HSBC's admissions in connection with this resolution confirm that the company misused confidential client information for its own profit on more than one occasion," John Cronan, the acting head of the department's criminal division, said in a statement. "This sort of misconduct not only harmed their clients, costing the victims money, but it also ran a serious risk of undermining the public's confidence in our financial markets." Prosecutors say that in 2010 and 2011, traders on HSBC's foreign exchange desk used confidential client information to conduct trades in British currency that deliberately drove the price of sterling in a direction benefitting the bank and harming the clients. US officials only identified one of the two clients: the British oil and gas explorer Cairn Energy. HSBC has agreed to continue cooperating with investigators and foreign authorities in any related investigations, including cases brought against individuals and to enhance its internal safeguards against misconduct. The Justice Department said HSBC received no leniency for voluntarily disclosing the matter, adding that initially the bank's cooperation with investigators was also "deficient in certain respects." But that HSBC soon "changed course" after prodding from the government, earning "substantial cooperation credit." The bank faces charges of wire fraud but these are likely to be dropped once HSBC fulfills its obligations under the settlement. Thursday's settlement comes barely a month after the lapse of a landmark five-year, $1.9-billion deal between US authorities and HSBC in which the British lender avoided prosecution after admitting in 2012 to widespread money-laundering and sanctions violations. In October, HSBC's former head of foreign exchange cash trading, Mark Johnson, was convicted of eight counts of conspiracy and one count of wire fraud after a four-week trial. He is due to be sentenced next month. 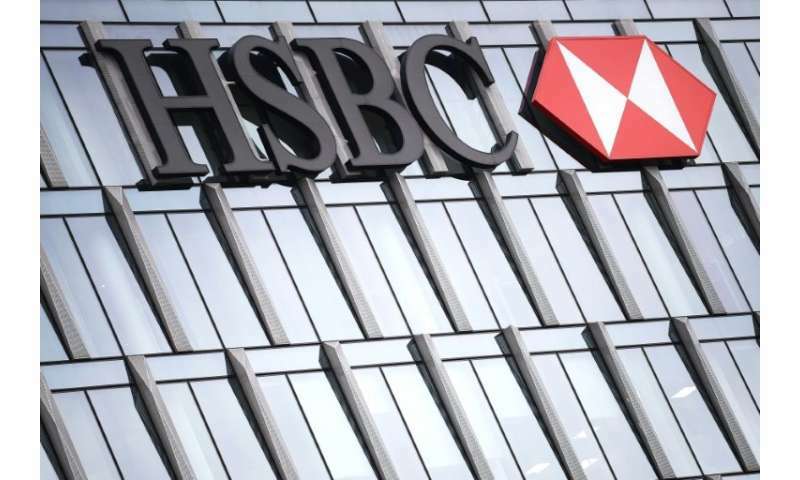 HSBC was one of six major US and European banks that were fined a total $4.2 billion by global regulators in a November 2014 crackdown for attempted manipulation of the foreign exchange market. Love bitcoin, with bitcoin this could not happen.